The hustle-bustle and the price hikes in Sydney can become quite overwhelming at times. Families need time for a relaxing vacation that would be wallet-friendly, but at the same time provide immense levels of rejuvenation. Here we bring to you some of the fantastic family getaways in and around New South Wales and too on a friendly budget. We have included ideas such as farm stays, camping, and hotels so that it caters to the needs of different families. May your mini-getaway turn into one of the best holidays of your life! A good old school camping trip can turn into a great opportunity for family bonding. Your kids would love to listen to our stories sitting around a campfire under the starry night sky. Some of the best camping sites in New South Wales include the Cockatoo Island and the Royal National Park. The Cockatoo Island was once a prison for convicts and a building yard for industrial ships. Take a ferry to the island and walk around exploring its rich history. You can even camp here overnight and wake up to one of the most stunning views that you have ever witnessed in your life. Your kids are bound to love this. Growing up in the cities makes it difficult for kids to experience nature and more than that appreciate it. Farm stays can prove to be great getaways in such cases. Moreover, farm stays are way more comfortable than camping, but at the same time offering the feel, sounds, and smells that campers love. One of the famous farm stays, Calmsley Hill, is just a 45 minutes drive from Sydney. They offer night stays with meal packages that make you feel at home, but at the same time giving you the stunning farm life experience. Your kids would get the chance to have close encounters with farm animals, explore paddocks, and go on morning egg hunts. This would surely be an unforgettable getaway. Another farm stays favorite is the Bilpin Springs Lodge. This resort has topped the lists of family-friendly holiday destinations in New South Wales. And also it’s just 90 mins drive from Sydney! 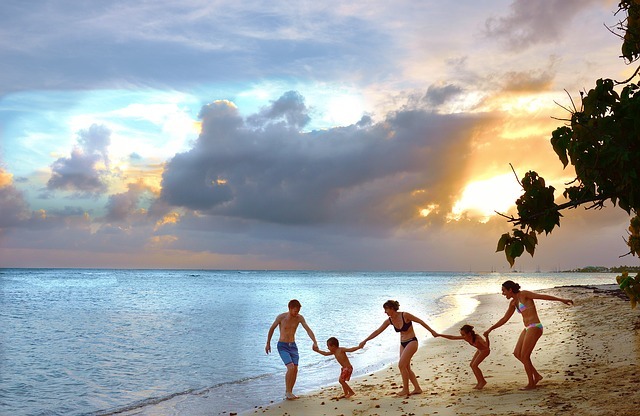 The Fairmont resort has a luxurious flavor to it for families. Your kids will love the high ceilings, sprawling grounds to run around, and the crisp fresh air. But the ultimate element that draws families to this resort is the kidzone! Yes, the kidzone is a play arena for the kids where they can go in the merry-go-round, a mini train known as the Fairmont Express that gives kids a tour of the resort and its greenery, electric minicars, and take part in many other play activities. With the kids busy in the kidszone, parents get a lot of time to themselves in this affordable and serene resort. 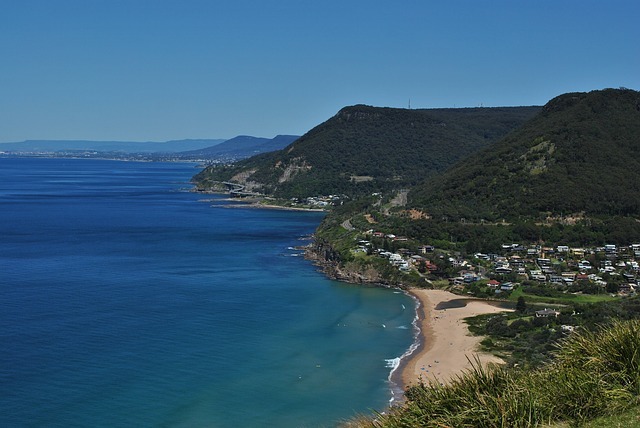 Wollongong is a beautiful coastal city that houses rock pools and surfing beaches all around the coastline. And it’s an awesome place to go with families. Locations such as Jamberoo, Early Start Discovery Space, Symbio Wildlife Gardens, and Glenbernie Orchard are affordable places and are worth visiting with your family. 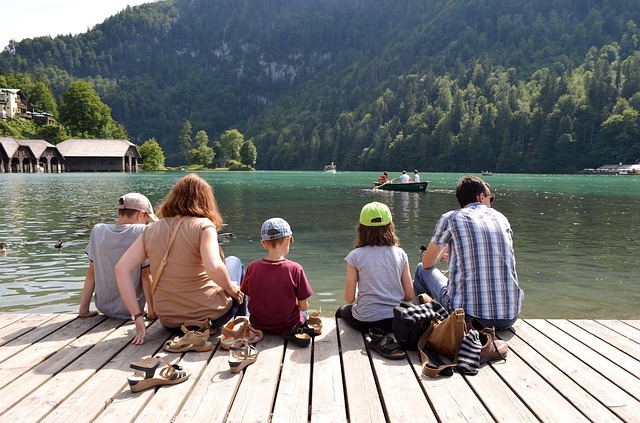 These destinations are cheap and exciting for family visits. For accommodation, you can stay at the Novotel Wollongong NorthBeach hotel. The hotel gives a wonderful view of the scenery, has a kid’s area where your kids can spend their time, organizes activities for kids during school holidays, and is adjacent to a large playground. Holiday Parks provide you with the full package. They have everything that a vacationing family would need ranging from kids clubs, playgrounds with water slides, arcade rooms, game activities, and budget hotel rooms overlooking the beach. BIG4 Tweed Billabong is a favorite destination of many families that come with large water slides that would just leave you stunned. Another favorite is the Seal Rocks Holiday Park located in a fishing town that provides a lively community spirit. This holiday park will make you want to come again and again. So yes, these are some of the best budgetable kid-friendly getaways that you can visit in New South Wales that are at the same time quite enjoyable. You will protect your bank balance too! If you are in the mood for some family outing, what would you like to add to the list of NSW getaways to do on a budget? Let us know in the comments!